My favorite time of year is back! The "season" for me started this past weekend with three events, two of which weren't actually Halloween-related. 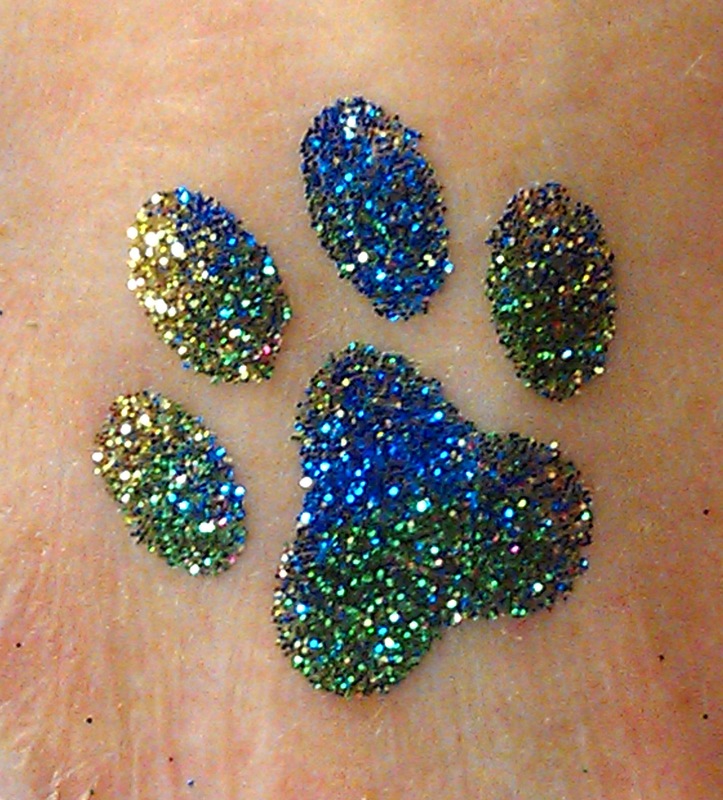 On Saturday, I painted faces and did temporary tattoos at the Woof Gang Bakery in Allendale, where they were holding their annual Howl-o-Ween contest. 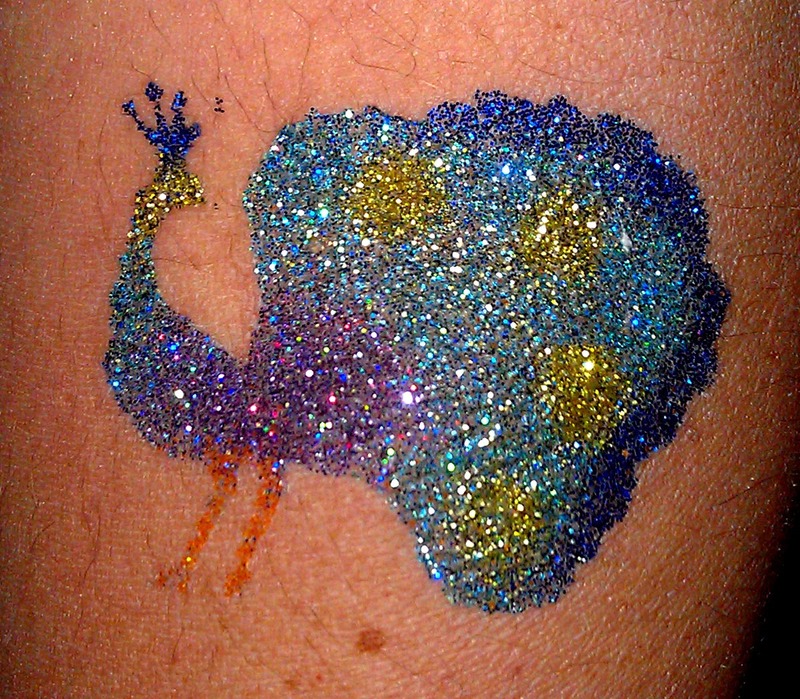 I love my new peacock glitter tattoos! But the best part? 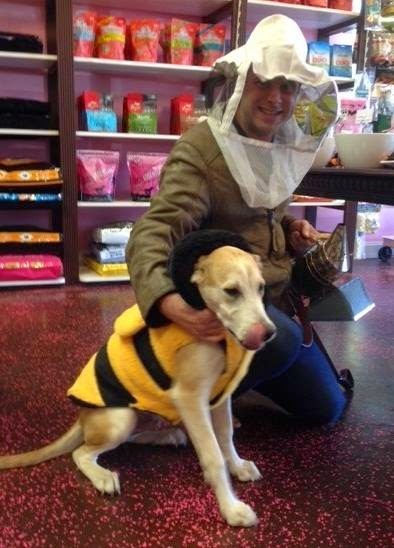 Eric came with Jack to enter the costume contest! In fact, if you're inclined to vote for them, please go to this link and vote for the photo below by "liking" it! Anyway, on Sunday morning, after taking an early hike with Jack and some others, I painted faces at a breast cancer walk for Englewood Hospitaal in Englewood, NJ. Later that day, I painted at a birthday party that felt a lot more like Halloween to me! I love it when the kids want to be ghoulish.